I thought that I'd mark Easter with a special episode of Counting the Beat. No, it's not songs about bunnies, buns or chocolates, but songs about Jesus. Well, not strictly about Jesus, I've kept away from the Christian rock genre, and in fact many of these songs merely make reference to Jesus rather than being about him. 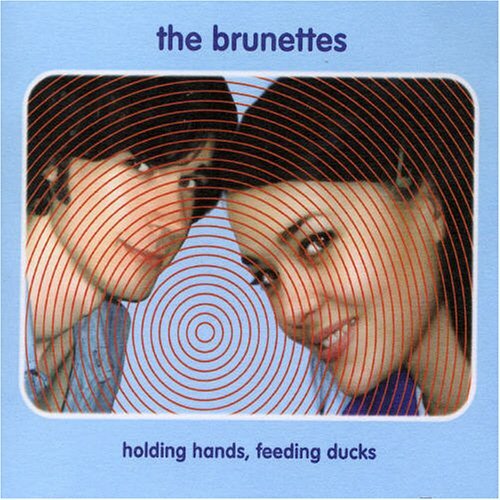 'Talk to Jesus' from The Brunettes debut album Holding Hands, Feeding Ducks, is intricately crafted slice of melancholic, melodramatic, 60s influenced pop, of the kind the band are so good at. This wouldn't sound out of place on a Lee Heazlewood and Nancy Sinatra album. Lindon Puffin fronted an indie band with glam ambitions, The Puffins, in the 90s but he's now gone solo modeling himself as a folk/punk troubadour gaining acclamation for his 2007 album Show Pony. Puffin has now put together a band, the Transgressions and has released country rocker 'Jesus Girl' from forthcoming album Vaseline on The Lens. Puffins also made a road movie Figure 8000. I've put the trailer on the video page. On his 2007 album Songs from a Dictaphone SJD was searching for his place in the world and the song 'Jesus' was not the only to explore questions of spiritual connection on an album that combined the melancholy thoughts of a stay at home suburban dad with great beats. Cut Off Your Hands seemed to burst from nowhere to the world overnight. Starting off as Shaky hands in 2006 they released a debut E.P. titled Cut Off Your Hands, which they later adopted as the band name. Then they decamped to the UK where they recorded with Bernard Butler of Suede. The band are great at angular post-punk pop songs and the songs 'Girl' and 'Still Fond' are great indie pop tracks but on the album You and I you'll also find the much more introspective song 'In The Name of Jesus Christ' questioning Christian hypocrisy. Jetty's album Soundtrax for Modern Lovers was originally self released in 1999 but luckily has been re-released by Powertool Records. The band were influenced by all the bands of the glory days of 90s alternative guitar rock, many of whom came from Jetty's home town of Dunedin. The song 'Jesus Speeds' is actually about a guy named Jamie (nicknamed Speedy), a man with mental health issues renowned around Dunedin for walking very quickly and listening to a very loud transistor radio. If you want sentimental American sounding country/folk then Warren Love is your man. He was robbed a few years ago when his Warren Love Band album missed out on a country music Tui. The stand out track on the album, written by locals Kevin Byrt and Barry Hennessey is 'Autographed Picture of Jesus'. Tom Bailey was in the huge internationally famous pop band The Thompson Twins before leaving all that behind to make dub in the New Zealand bush as International Observer. Originally on the excellent Round Trip mars compilation Sideways Too and then later on the 2005 album Played Out is 2 Steps at a Time Sweet Jesus. The only song in this episode without Jesus in the title comes from the early days of the amazing punk/skank/dub group Hallelujah Picassos. Before they made two excellent albums in the early 90s, Hateman in Love and Drinking with Judas, they released a number of cassettes and singles. Their first single (which also appeared on the Pagan Records compilation Postive Vibrations) only just reveals the influence of ska on their later sound. It came out in 1989 and was called 'Clap Your Hands'. Somewhere there is a video for this track, it aired on Radio With Pictures. I would love to hear from anyone who can track it down. And of course there's no way any collection of New Zealand "Jesus" songs would be complete without Darcy Clay's classic 'Jesus I Was Evil'. The video is posted on the video page.